An action role-playing game that reminisces of Diablo, Path of Exile is a tricky title that many would gladly pay a full price. Fortunately, you do not have to, because Grinding Gear Games provides you with the game for free. Step into the dark fantasy world of Wraeclast and take control of a hero as you venture deep into foreboding dungeons along with your friends. 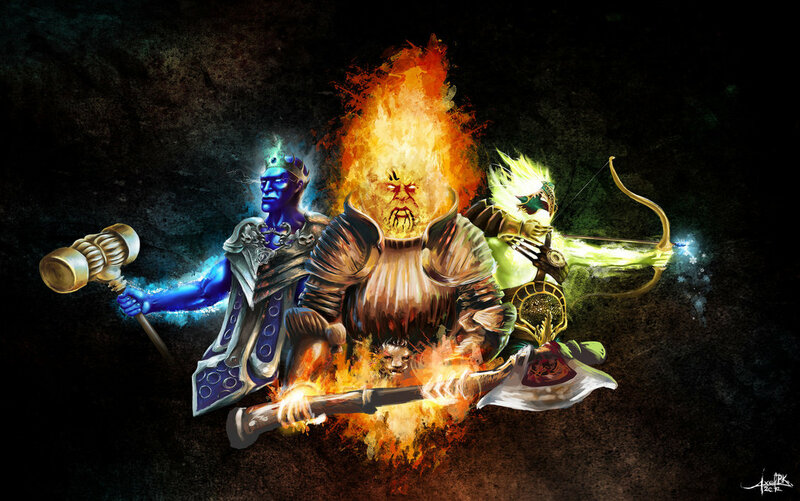 In the free-to-play online game Path of Exile, you are given the chance to choose a unique character class and explore the world of Wraeclast. This dark world is filled with terrible monsters, mighty bosses and packed with surprises. Even the environment is against you in this title, so the fight for survival is not an easy one. Replayability is one of the main focuses of Path of Exile. You can completely customize your character from head-to-toe and even with various classes, including the Duelist, Witch, Ranger, Templar, Marauder Shadow or Scion, you can choose to focus on two major skill attributes from three: strength, dexterity and intelligence. By focusing these traits, you can specialize in a certain kind of combat, whether it is wielding magical powers, mastering long-range combat or getting up-close and personal with blades or other pointy weapons. One of the more unique features in this hack'n'slash title is the skill gem system. The skills themselves are Path of Exile items and can be improved by adding gems to your equipment or using support gems to modify the behavior of your skills. Up to five support gems can be used at any time. Of course, there is also an extensive passive skill tree that gives you the opportunity to improve your skills and unlock new ones as you level up, making it possible to take on multiple monsters at once. The focus of Path of Exile is not only on brutal combat against evil monsters, but on items as well. This gives players the chance to earn items, sell items or use them for themselves to improve their own character. The barter trading system fuels a trade-based economy that has been developed by looking at a number of action RPGs. In fact, gold is not even a currency. Explore a dark fantasy world in Path of Exile and prove that you are a true master of your skills in Wraeclast!